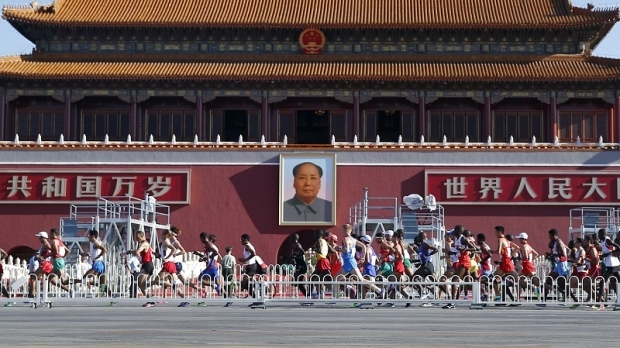 Athletes run past a portrait of former Chinese Chairman Mao Zedong in Tiananmen Square during the men’s marathon race at the 2015 IAAF World Championships in Beijing on August 22, 2015. On today’s show, we mark Bill’s departure from China and his return to the United States where he plans to live for the next few years with his family. While not exactly your requisite “Why I Am Leaving China” blog post, this show gives Kaiser Kuo and David Moser the chance to talk to Bill about the reasons behind his decision, and explore why he sees an increasingly strained relationship between China and the United States over the next few years.